Browse: Home → Are you willing to earn double money in runescape game ? 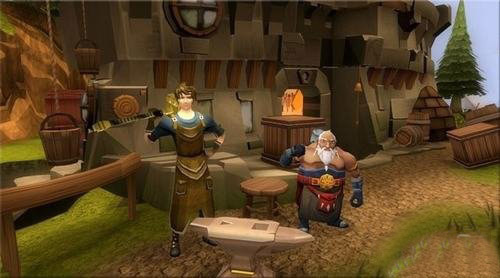 Are you willing to earn double money in runescape game ? One method for doubling your runescape gold in the online role-playing game RuneScape is by having your character create and sell gold jewelry. This has relatively low requirements and gives your character experience in the Crafting skill. This method is not aimed at high-level players, but it is a reliable way to increase your wealth. Go to the Grand Exchange area northwest of Varrock. Post an offer on the Grand Exchange to buy rs gold bars. Buy as many gold bars as you need, until you have invested the amount of money you want to double. Go to a smithing furnace. Furnaces are close to banks in Edgeville, Falador and Al-Kharid. These are the best to use because it is easier to store and retrieve the gold bars and finished jewelry.Click on a gold bar in your inventory, then click on a furnace while you have a jewelry mold in your inventory. Select the number of bars you want to turn into jewelry. Your character will craft the pieces, which will appear in your inventory in place of the bars. Continue taking inventories full of rs gold bars to the furnace until you have crafted all of them. Take Jennica’s Ring which you got during the Summer’s End quest to the Rogue’s Castle in the Wilderness. Use the ring near the jail to enter the spirit world . Close the doors to the jail, then return to the normal world through the portal there. Talk to the Rogue in the cell now that the doors are open. Return to Varrock and go to the bank in the east part of the city. Go south of the bank to find the Rogue in the house there. Click on rs gold jewelry in your inventory, then click on the Rogue to sell it to him. He will pay you the current minimum market value for your jewelry. This value is usually double what you paid for the gold bars initially.